Convert Any Document or Web Page to PDF its hectic process and take too much time to do this. So we find something good for you with its help you can print any document and webpage to pdf. You already heard about Adobe Acrobat (Writer) to create a PDF file? Guess what, This one Software is too small and work like adobe. We are talking about Bullzip, Bullzip application is simple, fast, straightforward, and free. Here’s now Thanks to the BullZip, who provides a Free Pdf printer. 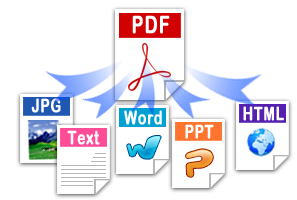 With this free tool, you can simply “print out” your document or webpage to a pdf file, just about the same way as you print it out to a printer.You can visit BullZip.com for more information about the software. To start first follow the link showing above and download Free Pdf Printer from BullZip, then install it to your computer. The PDF document is created!